End of Lease Vehicle Inspections with condition reports for lease returns. 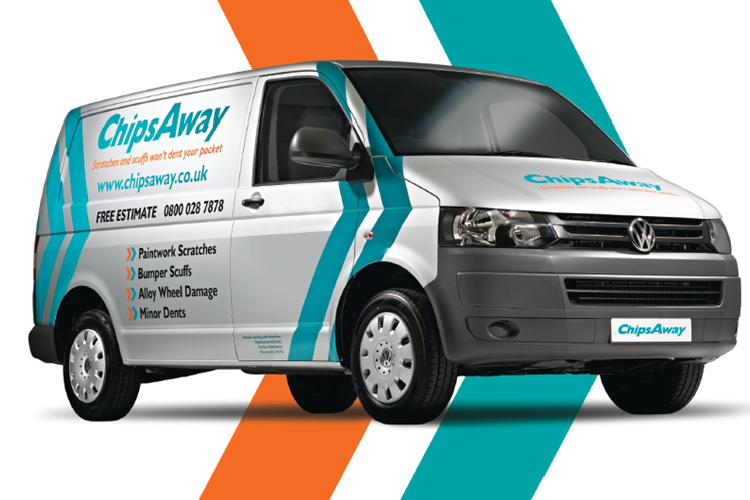 Brian and Amanda Palmer have been with the ChipsAway network since 2013, starting as mobile specialists, and later expanding into a ChipsAway Car Care Centre. In 2018, Brian and Amanda were thrilled to be the proud winners of the coveted Franchisee of the Year Award, presented at the annual ChipsAway conference held at the Celtic Manor Resort. I promised that I would write a thank you note. I am pleased to say that the process of renewing the back "door" of my Jazz was done with great efficiency and courtesy. Many thanks to all concerned. I am pleased to say that i am delighted with the result and would like to Thank you both for your efficient service. Also appreciated very much was the ongoing excellent communication and information during the process. I would have no hesitation in recommending you to others. Thank you so much for the excellent work you have done, it’s like having a new car! Lovely team and fantastic customer service. Will recommend. I was very happy with the service and quality of work, thank you. Would definitely recommend to family, friends and work colleagues! Great service thanks a lot for your help. Done a great job! The service I received before my appointment was great. Amanda looked over my car, gave me advice and then managed to get me booked in when you were clearly already very busy. Communication was good in the lead up to the appointment. My car was ready earlier than I expected. The work looked great with no faults. My car was returned ... Read more at the end of its lease via BCA the next day with no issues. Thank you! Needed to get my alloys refurb on my Golf R Estate and to remove a scratch on rear bumper having nicked a lamp post (don't ask). Did an amazing job and you cannot see any residual signs of damage. Nice people to boot! I wanted to thank you for the great job you have done. I will always recommend you to friends and family. The service from ChipsAway was certainly excellent and even more so because the “glass” on my headlights had been cleaned and polished which has never happened even when having the car serviced!! I returned to your work shop to thank you for that extra bit of service. So thank you Brian and Amanda and also for a lift home in ... Read more that fantastic truck . . . . . reminded me of all the trucks in Edmonton, Canada when I am visiting my son. But very few are a patch on yours Brian. I can recommend you very highly. Sorry, I do not do Face book. Dear Brian, We are very pleased with the repair to my wife's Audi A3, a thoroughly professional job. If there is any criticism it did take a little longer than expected but the end result was greta. I wouldn't hesitate to use Chipsaway St Albans again. Was very happy with process from start to finish and the work on the car appears to be excellent. Happy to recommend you. We are very pleased with the rear bumper and thank you for the lacquer dabs at the front of the car. this was the first time I had used ChipsAway and I was very satisfied with the work and the service I received, you have a business to be proud of. I prefer to comment anonymously but if a potential customer needs a reference I am happy to give one by email or over the phone. Quick repairs at very reasonable prices. Excellent communication/customer service and flexibility. A very satisfied customer. Smashing team, work brilliant, nothing too much trouble. Thank you for a very good job, I am very happy with the results of your labour. A very professional job. Also, thankyou for a good job. Hi,Very happy with the result and service will recommend you when needed would like to stay anonymous Regards. Brian, very pleased with the repair, the car is as good as new. Excellent service and good value for money. Would certainly recommend you to family and friends. HI Brian Happy to say how much I appreciated your service but not directly to Facebook! Without my name please. "Great service and quality of work. I felt as though my car was in good hands and I was treated in a very friendly and yet professional manner." Easy quoting, easy booking and really good job done! The stuff are so friendly! Recommend them!" Had some work done, couldn't even notice it. Brilliant job. Despite working in the motor trade I couldn’t find anyone who could do the repair to my car within a day until I found Brian and Amanda. A few emails later and after a quick visit and the car was booked in for a couple of weeks later on a Saturday. Car done and the results were amazing. After pretty much a year had passed and I ... Read more called on their services again. Same as before, dropped the car in on a Saturday and a few hours later a very happy customer again. 5 stars and always a nice place to visit. Good morning Amanda and Brian First and foremost, i must say what a pleasure it was to receive such Friendly and Professional Service , from start to finish, with regard to the repair work to my car. "Gemma" looks like new again. Thankyou ???? Am singing Your praises far and wide and will continue to do so. Congratulations and Best Wishes. Eve. Dear all, I was very pleased with my recent repair and would not hesitate to recommend you to friends and family. I was not only pleased with the repair but was impressed with your admin team. If you want to put my remarks on your website I would prefer to remain anonymous - put me down as 'Mercedes C class'. Many thanks. Alex Duncan. Dear Brian and Amanda, I don't really do social media myself, but you're very welcome to add my comments where you wish. Anthony turned up promptly and did a great job on my car. I hadn't appreciated that such a small scratch would entail so much work and each time I looked outside, something different seemed to be going on, ... Read more until the car was returned to its original pristine condition which was very important to me as I've only had it for a few months. It was also very useful to have the job done here, rather than having to bring it to you. All in all, a great success - many thanks. All the best, Bruce King. Dear Brian and Amanda, Thank you once again for an excellent job of work that Andy carried out last Wednesday. He started a little early but finished much earlier than the estimated time. This is not a long note, but you may use it as you see fit. So, in conclusion, all that remains is to wish you and all the team all the best ... Read more for Xmas and into the New Year, Derek and Laura Wilson. Very efficient - and excellent customer service. Car required body shop repair - delivered vehicle at 7.30am - and was ready at 5pm. Superb job - highly recommend. Many thanks for undertaking the recent repairs to my vehicle which were carried out very well and efficiently and on time thank you. Well impressed with the paint work repair it looks as good as new. Very pleased with the service..from start to finish. Anthony was punctual and assiduous and has done an excellent job on our minor prang. I won't say I'm exactly looking forward to my next visit to you.....but I shall have no hesitation in contacting you again IF the need arises! Great service. Staff very helpful. Polite and efficient service - Anthony came to our house and did a super repair to the front nearside corner of our V.W. Up. He tool 3 hours to do it and it cost £180. The colour match is perfect and any evidence of damage completely gone. Well Done! Had a nasty couple of weeks and scratched the car in 3 places. Brian and the team crafted a beautiful piece of repair work and it looked better than new. Thoroughly recommend them! I went to ChipsAway after finding a scrape on my car, probably a supermarket carpark hit and run! They did a brilliant job to restore the paintwork, at a reasonable price. I'd happily recommend them to anyone. Hi Amanda Brian, I was very pleased again with my car. You completed the work in the time you said and the work was to my satisfaction. Thank you for both being helpful friendly, also for laughing with me at my stupidity both times and not laughing at me.